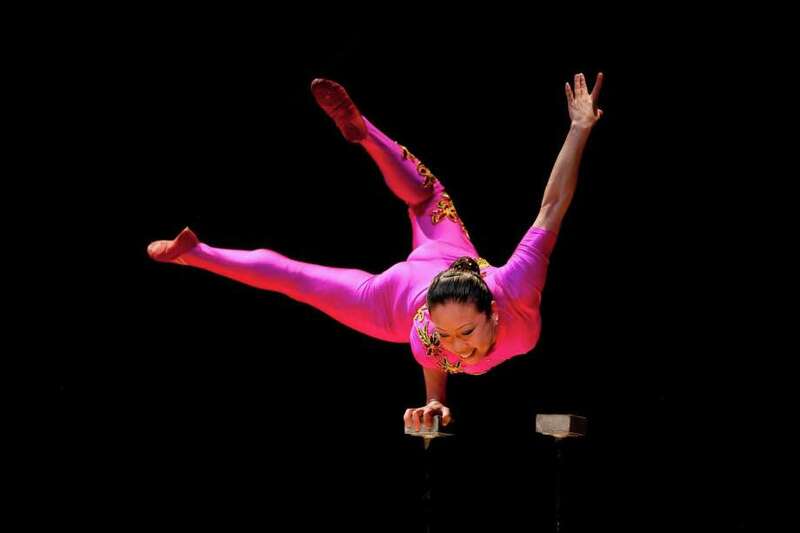 Chinese acrobat Li Liu will perform during a day-long international “Take Your Child to Library Day” celebration at the Pequot Library in Fairfield's Southport section on Feb. 2. The Fairfield Health Department is offering a free healthy living program for individuals who are looking to lose weight, prevent or manage chronic conditions like diabetes and hypertension, or for those who just want to make a healthy lifestyle change. Participants meet in a group setting with trained Lifestyle Coaches and a Registered Dietitian to learn how to make modest lifestyle changes. This 13-week program meets every Wednesday from 6:30-7:30 p.m. starting Jan. 30 at the Fairfield Regional Fire Training School, 205 Richard White Way (formerly 205 One Rod Highway). Open to all residents in the greater Fairfield area. Registration and eligibility are required for this program. If you would like more information or to register for this program please contact Santina Jaronko, Health Educator for the Fairfield Health Department at 203-256-3150 or sjaronko@fairfieldct.org. On Jan. 26 from noon to 3 p.m., the Fairfield Fidelity St. John’s Masonic Temple Lodge will be hosting its first Chili Cook-off. This is a fundraising event where local restaurants and individual families will cook their best chili recipe and bring it to the lodge, where the best chili will be announced. This event is open to everyone anf free, however, donations are encouraged. The group is partnering the nonprofit “Share Our Strength,” and all of the proceeds from the event will benefit its “No Kid Hungry” mission. Marty Podskoch will discuss his latest book, “Passport and Guide to Exploring CT,” at the Easton Public Library Community Room on Feb. 3 from 3 to 5 p.m. The community is invited to engage in a lively discussion about Connecticut and the treasures in each of its 169 towns. Books will be available for purchase, and refreshments served. Fairfield County Children’s Choir’s annual Broadway concert and auction will take place Feb. 2 at the The Klein Memorial Auditorium. The silent auction promises to be bigger than last year. Held in the spaces surrounding the auditorium, past auction items have included gourmet gift baskets, sporting event tickets, music lessons, jewelry, restaurant gift cards and autographed children’s books. Cocktails, hors d’oeuvres and auction bidding begin at 5:30 p.m. and continue through intermission. Tickets are now available for the unique and immersive performance taking place on Jan. 31 at 8 p.m. in Fairfield University’s RecPlex. Featuring seven acrobats supported by driving live percussion, this performance of “A Simple Space” promises to be simultaneously humorous, frantic and delicate. Since their inception in 2009, Gravity & Other Myths has become internationally renowned for its physical performances that push the boundaries of contemporary circus. Utilizing an honest approach, their shows are created around a human connection and acrobatic virtuosity. In 2015 they were honored with Australian Dance Award for Best Physical Theatre and Australia’s Green Room Award for Outstanding Contemporary Circus. Bold, brilliant colors and patterns signal the coming of spring and Near & Far Aid’s annual Gala on March 1 at 7 p.m. This year’s Modern Ball evokes a fashion-forward theme, and tickets are available now. Mitchells of Westport will once again host the gala. Tickets are $400 for premium seating for live program and $350 for standing-room only. VIsit nearandfaraid.ord/events to purchase tickets. Fundraising is the focus of the evening, and patrons can support the effort through tickets sales, direct donation and bidding in the live and silent auctions whose offerings always include luxury items and travel. The evening will include interactive food displays, a designer fashion show, dice games, a dance party and more. Chairwomen of Modern Ball are Brooks Dibble of Fairfield, Kelsey Johnston of Westport, and Katerina Powers of Fairfield.